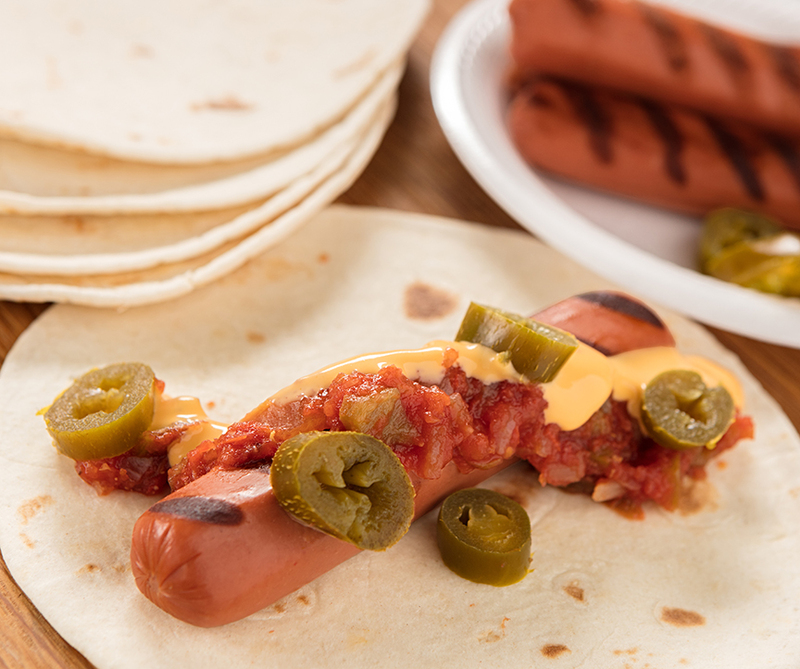 Give ordinary hot dogs a Tex-Mex spin by adding cheese sauce, zesty picante sauce and hot jalapeño slices. First, place grilled hot dogs on hot dog buns or tortillas. Then, top each with 2 tablespoons of picante sauce and cheese, and sprinkle with jalapeño peppers. 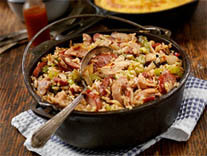 You can enjoy this without the jalapeño - because this will eliminate the heat!